Just as individual as our personality, so is the vision of an artist. It is one of the reasons that a dozen of us can go out and paint in the same location, and every painting will be vastly different. 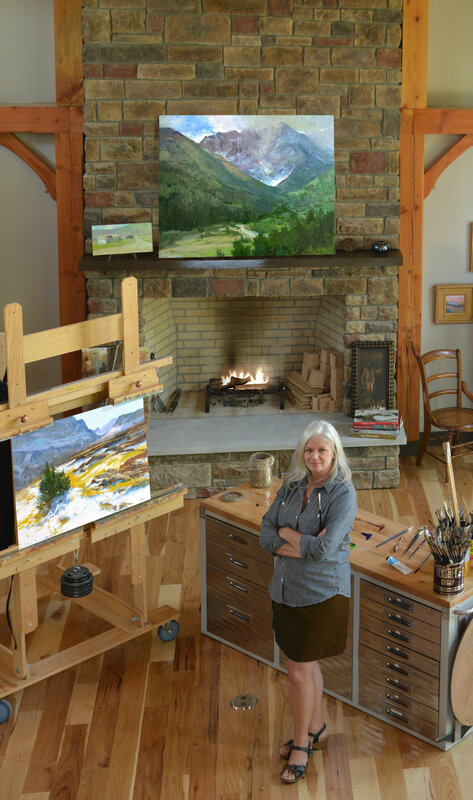 Some artists are interested in painting only specific subject matter, such as landscapes, portraits, or architecture. Others are only excited about painting strong light and shadow. For me, it is my fascination with rhythms and patterns that really gets the creative juices flowing. Search the web for origins of plein air, and you can read much about the history in just a few clicks. Well before the Barbizon and Hudson River Schools, there are works that are believed to have been created in the open air by artists in the 16th century. You hear that a lot… life-changing. When you do, you may think, “really, was it really?” My answer to this recent trip to Guatemala is “absolutely, yes!” To be honest, when I first registered to go on the trip with Art Ambassador for a Colorful World, I wasn’t quite sure what I was getting into. Moreover, I really had doubt that I could possibly have anything to give that would be useful in any way. Still, there was something inside me that made me want to go. I had been a small, monthly donor to Kevin Macpherson’s group for a few years, but honestly had little clue about what all he was doing. I only knew that the pictures of the smiles on face of children from China and Guatemala were priceless, and I wanted to see them for myself.